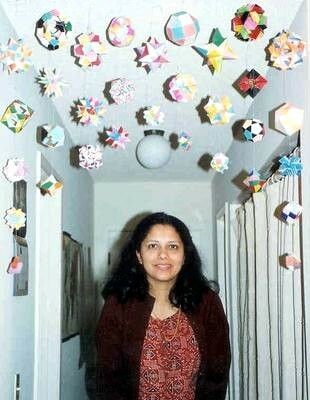 Copyright © 2005-2016 by Meenakshi Mukerji - all rights reserved. 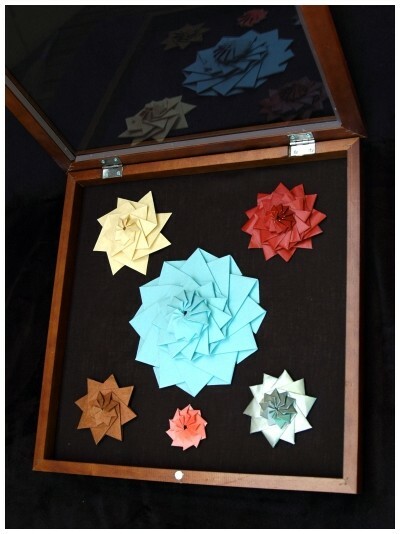 Various Fractal Stars in Shadow Boxes. 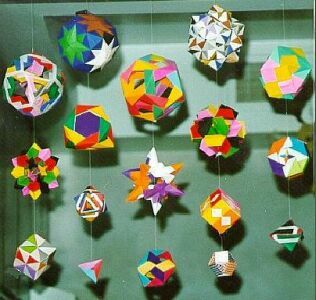 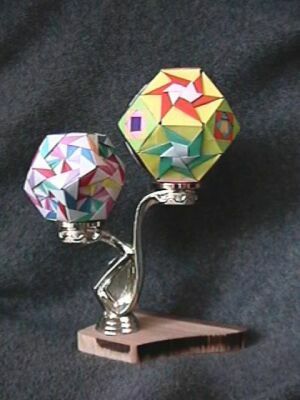 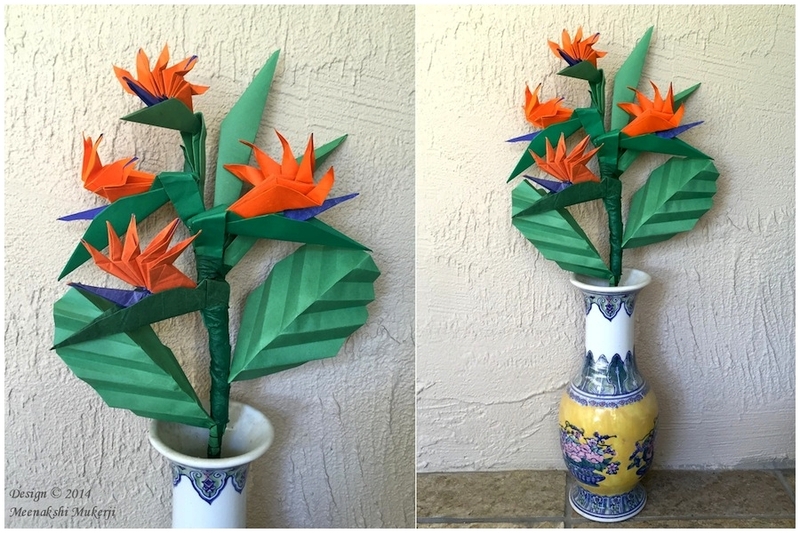 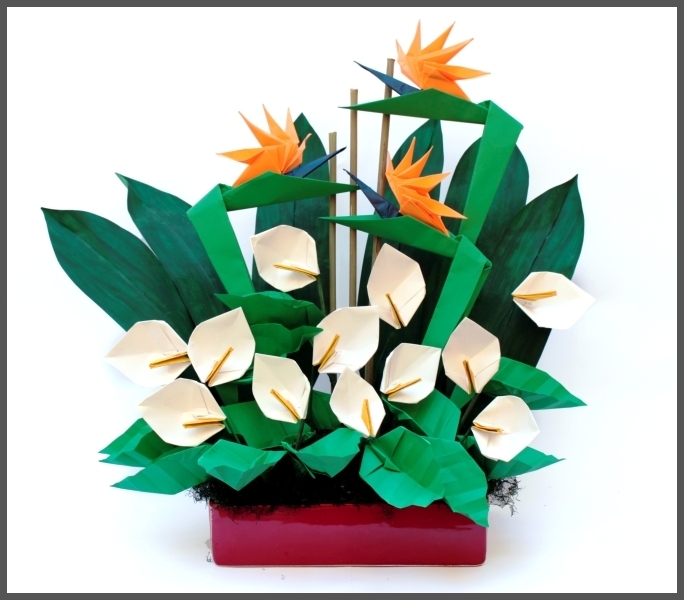 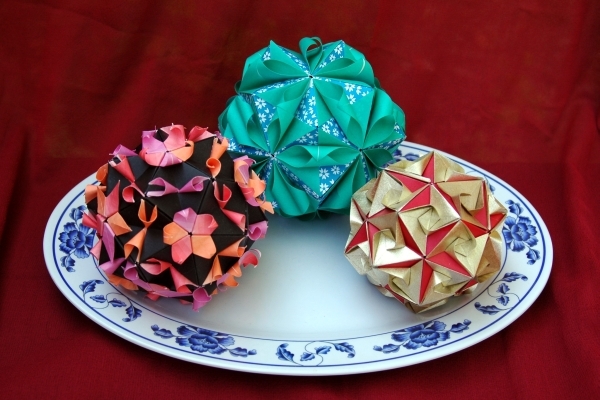 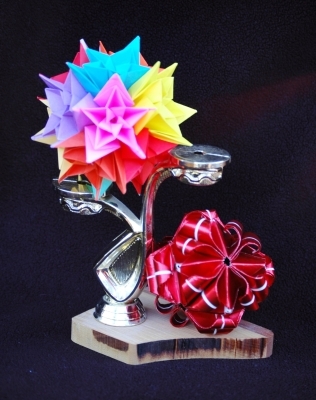 A curio dedicated to origami! 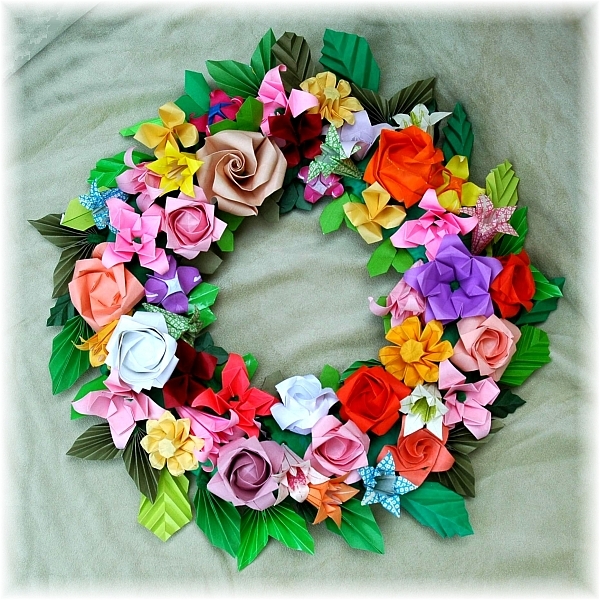 Origami flowers in a wreath. 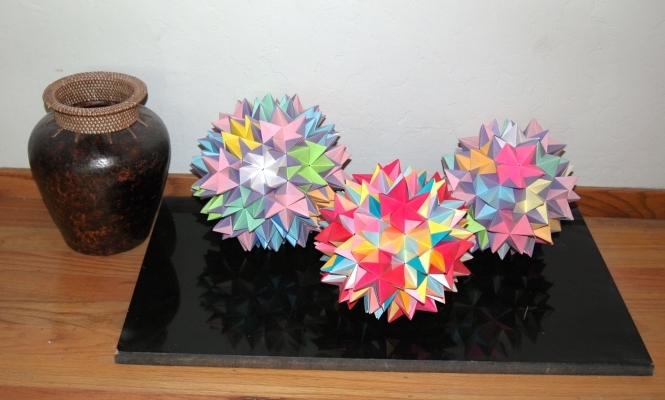 Oribana (left) and Spiky Origami lying around. 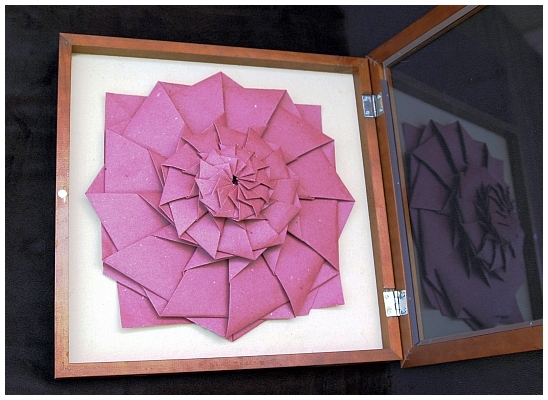 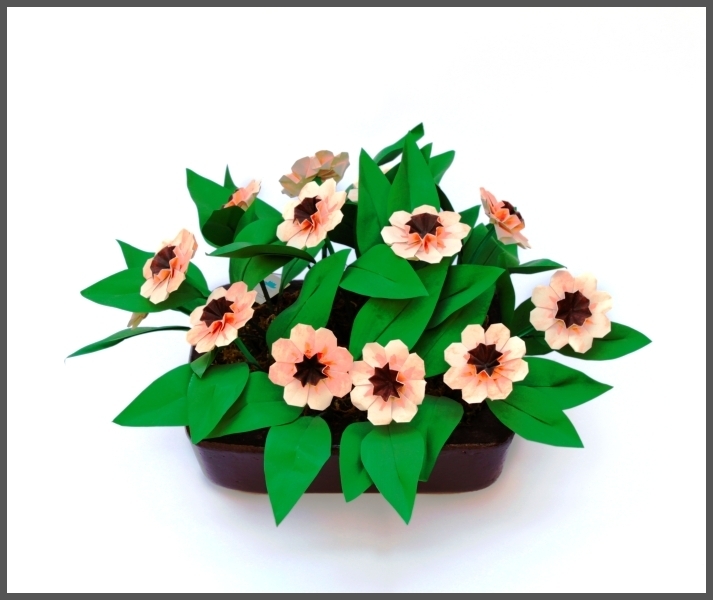 Some Tessellation models framed: Andrea's Rose, 3-Level Clover and Hydrangea. 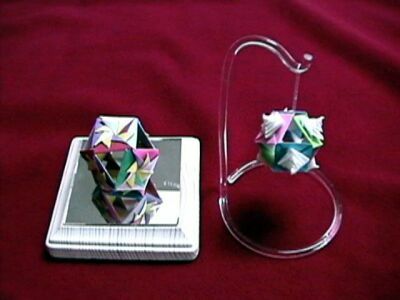 Origami in ornament tree (left) and on a pedestal (center and right). 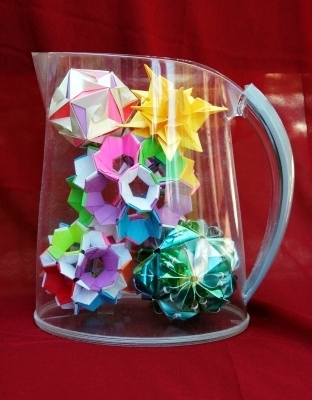 Origami on tray and in jug. 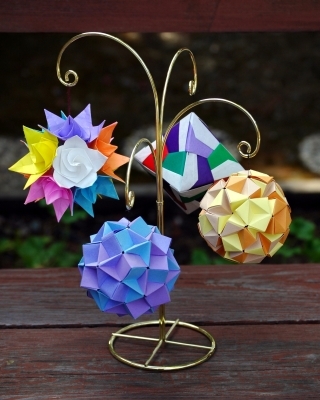 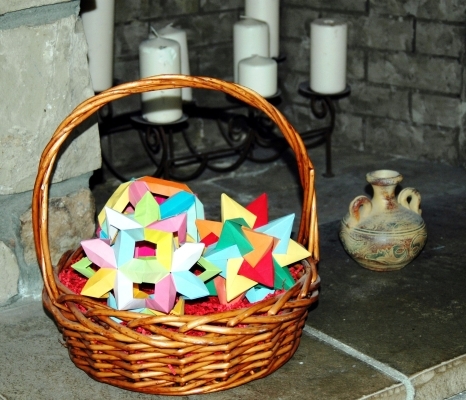 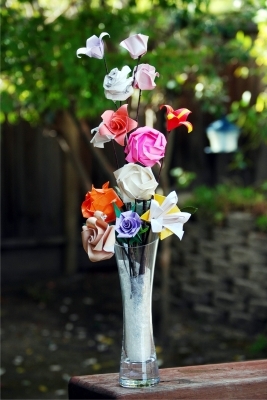 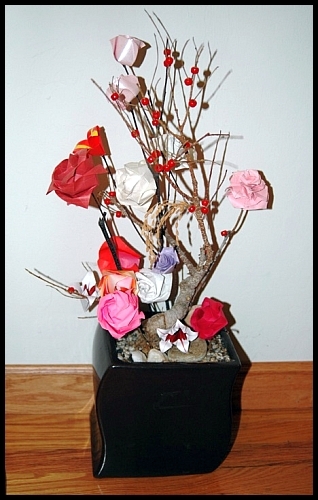 Origami bouquet, origami in a basket at the fireplace and origami strung on a thread. 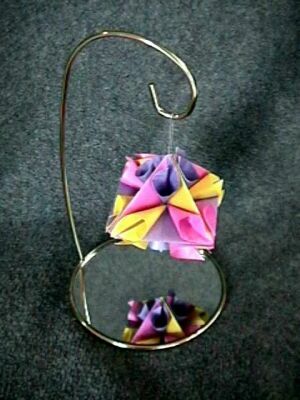 Origami hanging from ceiling in a corner and on mirror base and ornament hanger. 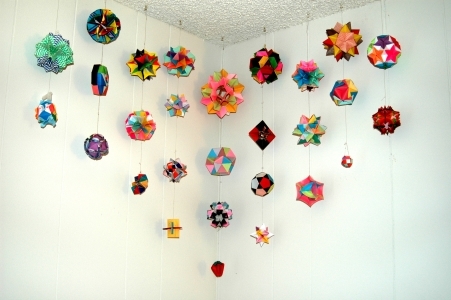 Origami hanging from ceiling, in the hallway and from ornament hanger. 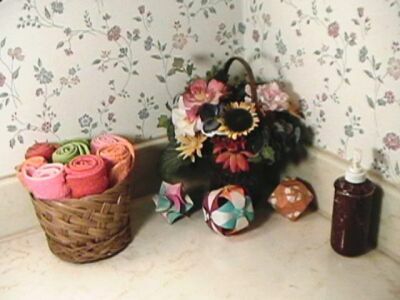 This page was created 1/24/2005.